The National Handloom Day is held annually on 7th of August to honour the handloom weavers in India. And to highlight the handloom industry. 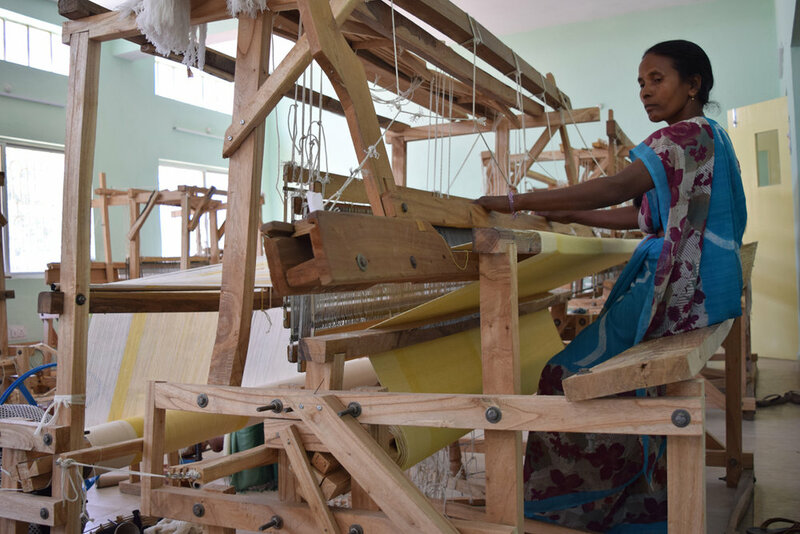 National Handloom Day seeks to highlight the contribution of handloom to the socioeconomic development of India and increase income of the weavers. Paces Crafts, the workshop of Solid in India, is based on the commitment and hard work of various handloomers. 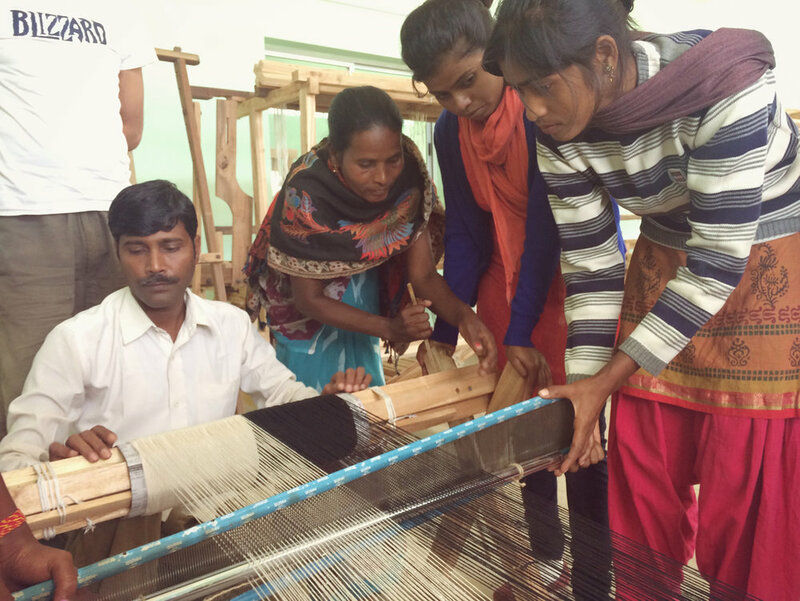 On August 7th we celebrate our Indian handloom weavers.With the Paces Crafts workshop in Ranchi Solid offers an income to some 9 weavers and weaving assistants. In the workshop they work with 6 self made looms enabling them to weave up to 2 m of fabric a day. Their fabrics are traditionally made by hand but they have a modern design. Perfect craftsmanship. If you know that the setting up of such a loom can easily take 2 to 3 days, we can surely call this a success. And Paces Crafts will continue to grow! With Paces Crafts we cooperate to improve the socio economic situation in India and to reduce poverty. All this is made possible thanks to the effort and hard work of the weavers. Therefore, congratulations and warm thanks to all of them! Op 7 augustus vieren we onze wevers in India. Solid biedt via het atelier Paces Crafts in Ranchi werk en een inkomen aan een 9-tal wevers en weefhelpers. Ze werken in het atelier met 6 zelfgebouwde looms of weefgetouwen en kunnen zo tot 2m per dag weven. Een succes als je weet dat het opzetten van zo’n weefgetouw gemakkelijk 2 à 3 dagen vergt. Hun stoffen zijn traditioneel met de hand gemaakt, maar ze hebben een modern design. Op en top handwerk. En Paces Crafts gaat nog groeien! Via het wevers-atelier werken we mee om de socio-economische situatie in India te verbeteren en de armoede te verminderen. Dank zij de inzet en het harde werk van de wevers. Onze Dikke Proficiat gaat naar hen!